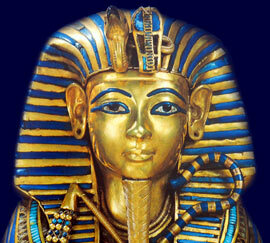 The Old Kingdom is often referred to as "the Age of the Pyramids." The time period covering the Old Kingdom is 2686 BC - 2181 BC. The names of the Pharaohs who ruled during these dynasties of Early Egypt history are detailed below. Our Egyptian Timelines provide a time driven list Ancient Egyptian pharaohs, periods, kingdoms and dynasties provide the generally accepted dates of each of these times - a chronology or list of dates of all the periods, kingdoms and dynasties of Egypt. So if you are interested in Old Kingdom then the important people and events, via a simple timeline, charting the key dates in Ancient Egyptian history will prove to be interesting.